Our country is a funny place. Commotion rocked the General Hospital in Sapele area of Delta state, after a sick man suspected to have Lassa Fever reportedly caused a huge scare on Monday. It was gathered that the doctors, staff and other patients took to their heels and ran to the end of the hospital rather than help the man. 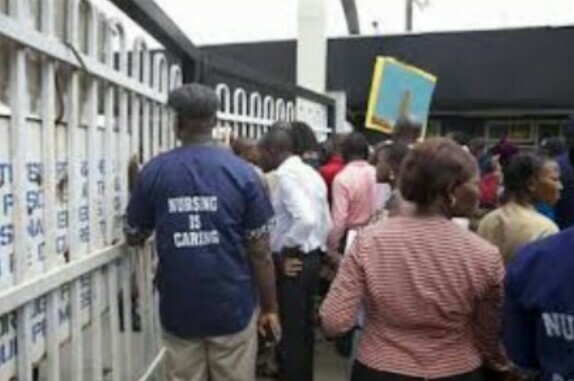 According to Delta based journalist, Sapele Oghenek, the hospital management even called the police to come and arrest/remove the sick man but the officers declined and told the doctors to handle their professional duties. The suspected Lassa Fever patient later left the general hospital after being ignored and stigmatised by the health workers. It was also reported that when the sick man left, the hospital authorities fumigated the entrance to rid the clinic of any disease.